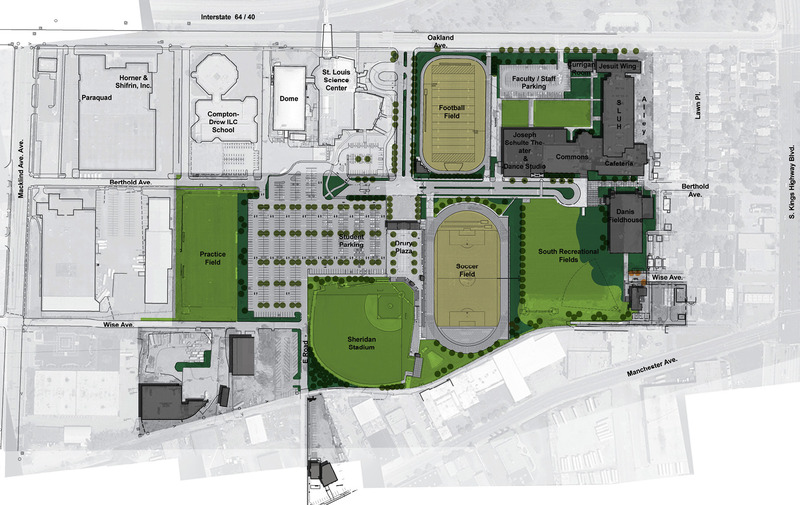 "Sustainable approaches to our facilities are not only necessary because of the stewardship and justice we owe the world and future generations, but also because they serve our mission to improve the health, productivity and performance of our students at SLUH." 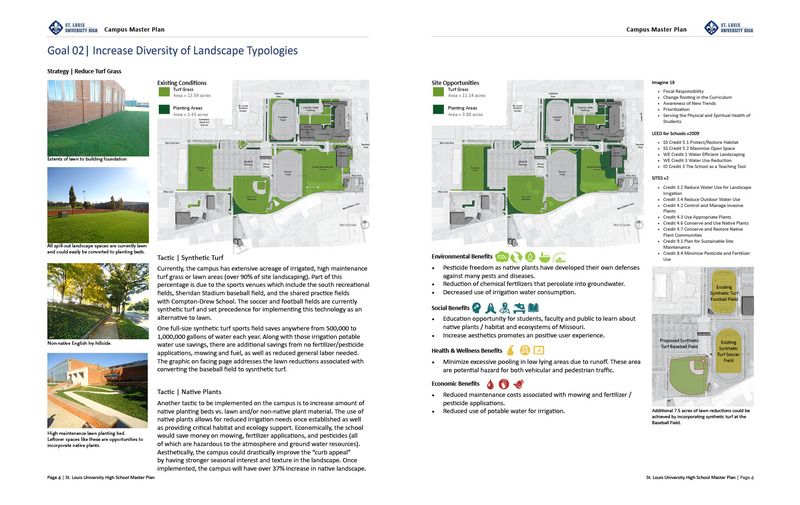 The high school makes use of sustainable site features as extended classrooms – a practice that will expand as the campus is updated.  The cycle of evidence-based design depends upon the conveyance of analysis between all phases. 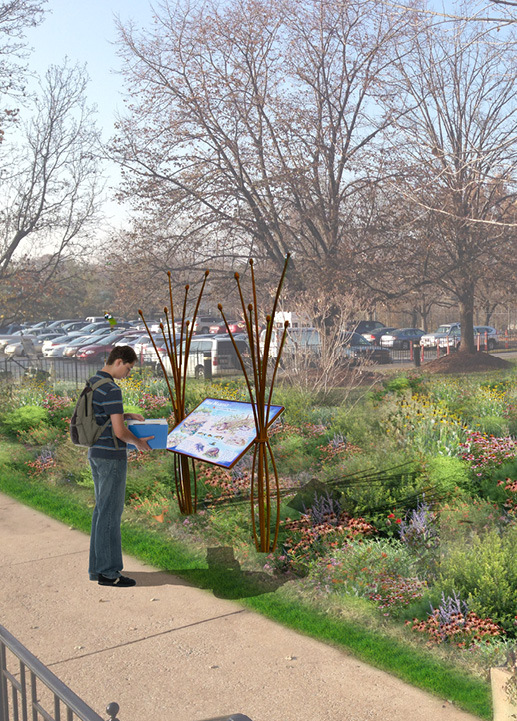 Social, environmental, health, and economic benefits were an integral part of the planning process. 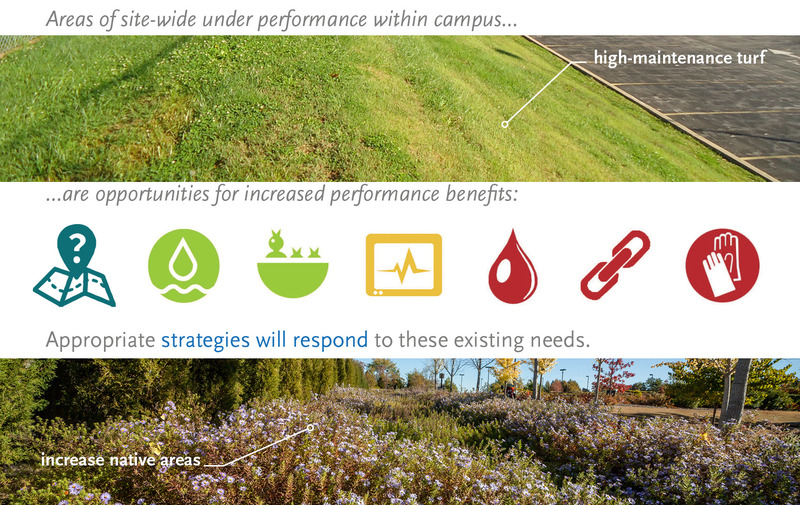 The use of native plants reduces irrigation needs, enhances biodiversity, and builds a regionally-specific sense of place on campus. The phasing approach grew out of immediate needs and budgets, and will flex to align with future priorities. 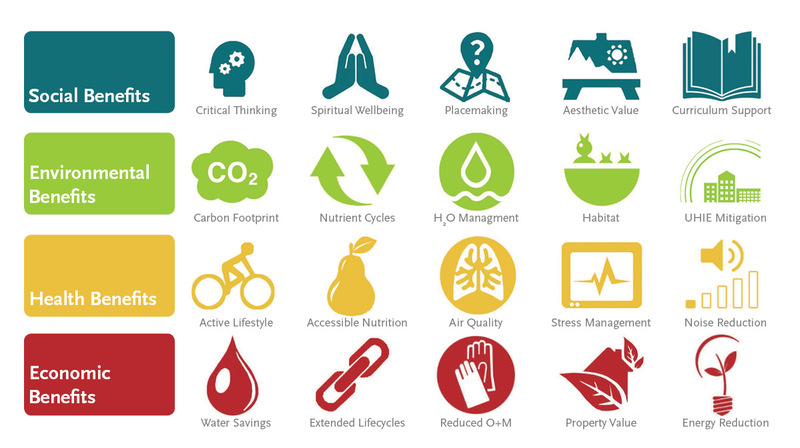 In the most basic sense, sustainability is the capacity to continue a defined behavior indefinitely. In preparation for its bicentennial, St. Louis University High (SLUH) has created a vision for continued leadership in the evolving field of secondary education. 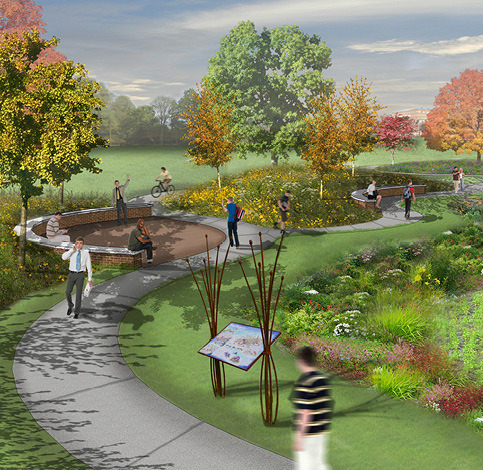 In service to this vision, developed through the Imagining 18 – Strategic Thinking program, the campus is re-imagined as a site which prioritizes the Jesuit values SLUH aims to bring into its third century of education: service, spiritual and academic joy, experiential education, and collaboration. 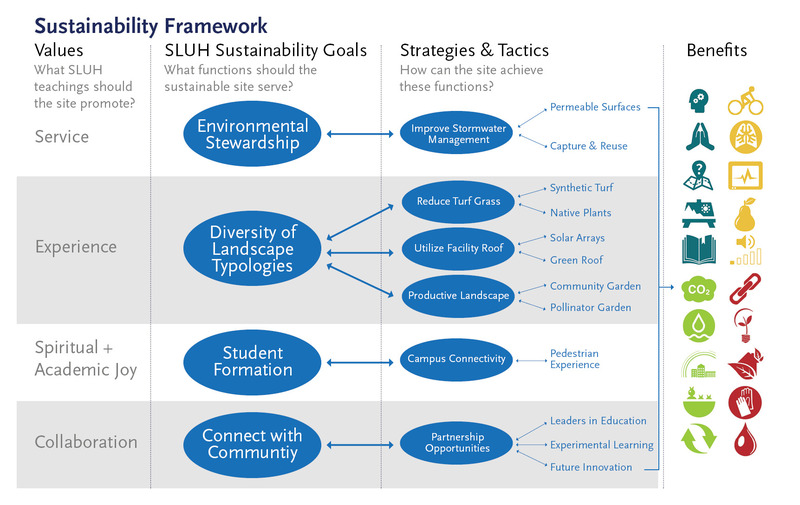 The recommendations for a sustainable campus landscape included in this chapter contribute to a larger master plan in which buildings and campus open space, site management strategies, and St. Louis University High philosophies work together as a system to support these values and enhance the quality of SLUH students’ education. Recommendations are structured within a framework against which site development and operations should be evaluated and adjusted to meet evolving demands. 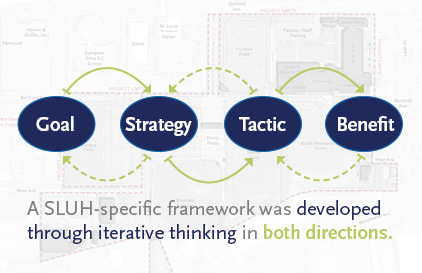 The long-term vision for adaptive and responsive management of the SLUH campus includes a process for the review and revision of the sustainable recommendation framework detailed within this master plan. 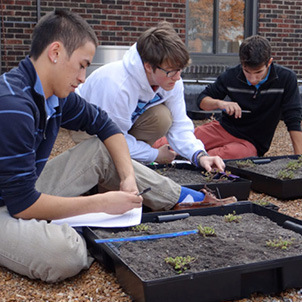 "This plan was an opportunity to curate a set of sustainability strategies for a group of learners who are as curious about the world around them as we are – the SLUH students."